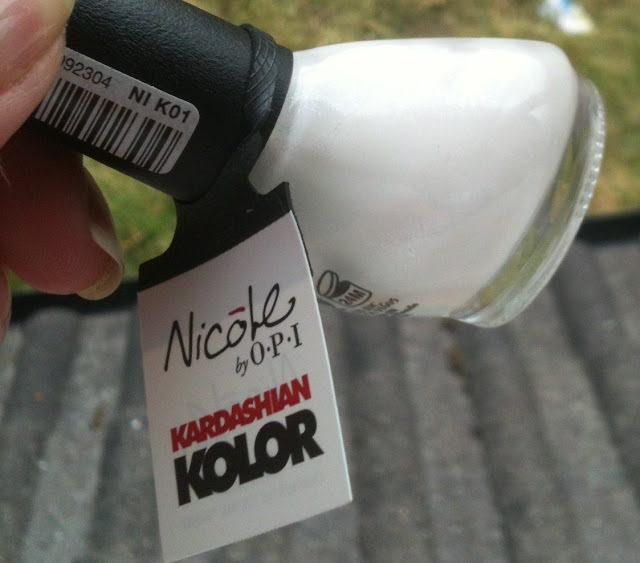 This is my first Nicole by OPI polish and I never thought it'd be a Kardashian one... Not quite sure what made me pick this up to be honest, I think I was just curious. 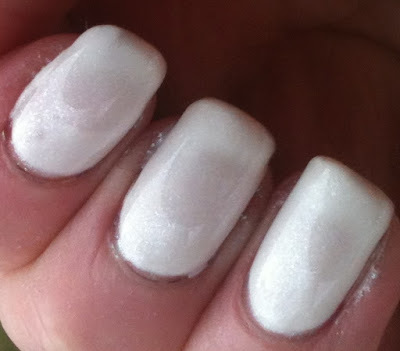 This is a sheer white polish with white/silver sparkle. 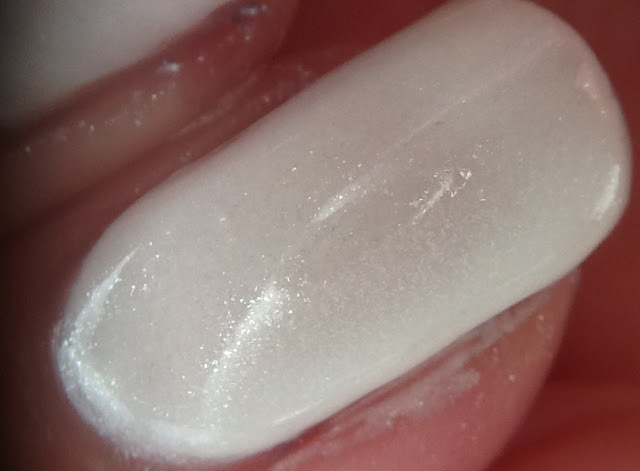 Sometimes it looks white, sometimes silver. I think this would be a gorgeous layering shade to give colours and extra pop, though I tried this earlier and applied way too much in one coat, so if you're using it for layering be careful how much you have on your brush! For full coverage it took me four coats. The shimmer is very visible on the nail. This is gorgeous as both a layering shade and on it's own.